Al Falestinyah has left 12646.00MHz, pol.H (DVB-S SID:3360 PID:3362/3363 Arabic), it is no longer transmitted by satellite in Europe. Al Falestinyah (undefined) broadcasts in DVB-S Clear on 11219.25MHz, pol.H SR:27500 FEC:5/6 SID:4310 PID:4320/4321 Arabic. A new channel has started in DVB-S Clear: Al Falestinyah (undefined) on 11958.00MHz, pol.H SR:27500 FEC:5/6 SID:3360 PID:3362/3363 Arabic. A new channel has started in DVB-S Clear: Al Falestinyah (undefined) on 12646.00MHz, pol.H SR:27500 FEC:5/6 SID:3360 PID:3362/3363 Arabic. New FEC for Al Falestinyah on 11219.25MHz, pol.H: FEC:5/6 ( SR:27500 SID:4310 PID:4320/4321 Arabic - Clear). Al Falestinyah (undefined) broadcasts in DVB-S Clear on 10977.20MHz, pol.V SR:2170 FEC:3/4 SID:100 PID:100/110 Arabic. 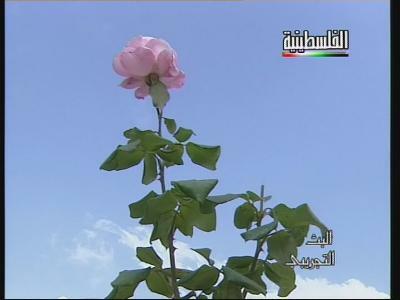 New frequency for Al Falestinyah: 11219.25MHz, pol.H (DVB-S SR:27500 FEC:3/4 SID:4310 PID:4320/4321 Arabic- Clear). A new channel has started in DVB-S Clear: Al Falestinyah (undefined) on 12467.00MHz, pol.H SR:27500 FEC:3/4 SID:3708 PID:3722/3723 Arabic. Al Falestinyah has left 12532.00MHz, pol.V (DVB-S SID:100 PID:100/110 Arabic,111), it is no longer transmitted by satellite in Europe. A new channel has started in DVB-S Clear: Al Falestinyah (undefined) on 12532.00MHz, pol.V SR:2900 FEC:5/6 SID:100 PID:100/110 Arabic,111. Al Falestinyah has left 12566.00MHz, pol.V (DVB-S SID:2008 PID:32/110 Arabic), it is no longer transmitted by satellite in Europe. New PID for Al Falestinyah: PID:32/110 Arabic SID:2008 (12566.00MHz, pol.V SR:27500 FEC:3/4 - Clear). Al Falestinyah is back on 12566.00MHz, pol.V SR:27500 FEC:3/4 SID:2008 after a break ( PID:34/110 Arabic - Clear). Al Falestinyah has left 10911.00MHz, pol.V (DVB-S SID:2043 PID:100/110 Arabic), it is no longer transmitted by satellite in Europe. Al Falestinyah (undefined) broadcasts in DVB-S Clear on 12566.00MHz, pol.V SR:27500 FEC:3/4 SID:2008 PID:42/110 Arabic. Al Falestinyah has left 12566.00MHz, pol.V (DVB-S SID:2008 PID:34/110 Arabic), it is no longer transmitted by satellite in Europe. New PID for Al Falestinyah: PID:34/110 Arabic SID:2008 (12566.00MHz, pol.V SR:27500 FEC:3/4 - Clear). New PID for Al Falestinyah: PID:41/110 Arabic SID:2008 (12566.00MHz, pol.V SR:27500 FEC:3/4 - Clear). New PID for Al Falestinyah: PID:33/110 Arabic SID:2008 (12566.00MHz, pol.V SR:27500 FEC:3/4 - Clear). New PID for Al Falestinyah: PID:37/110 Arabic SID:2008 (12566.00MHz, pol.V SR:27500 FEC:3/4 - Clear). New PID for Al Falestinyah: PID:38/110 Arabic SID:2008 (12566.00MHz, pol.V SR:27500 FEC:3/4 - Clear). Al Falestinyah (undefined) broadcasts in DVB-S Clear on 11585.00MHz, pol.V SR:27500 FEC:3/4 SID:3010 PID:100/110 Arabic. Al Falestinyah (undefined) broadcasts in DVB-S Clear on 10911.00MHz, pol.V SR:27500 FEC:3/4 SID:2043 PID:100/110 Arabic. Al Falestinyah is back on 12566.00MHz, pol.V SR:27500 FEC:3/4 SID:2008 after a break ( PID:100/110 Arabic - Clear). Al Falestinyah is testing in DVB-S Clear on 11691.00MHz, pol.H SR:2894 FEC:3/4 SID:100 PID:100/110 Arabic. Al Falestinyah is testing in DVB-S Clear on 12566.00MHz, pol.V SR:27500 FEC:3/4 SID:2008 PID:100/110 Arabic.